I've often heard my grandma comment about how she wished there was a screen door in her kitchen entrance so that she could get a good breeze coming in. After all, the kitchen is the main area of her house - a place where we all congregate when we visit, and where she sits in her rocker working on embroidery. But because of the way the staircase and railing outside the door are situated, there is no room for a screen door that swings out. 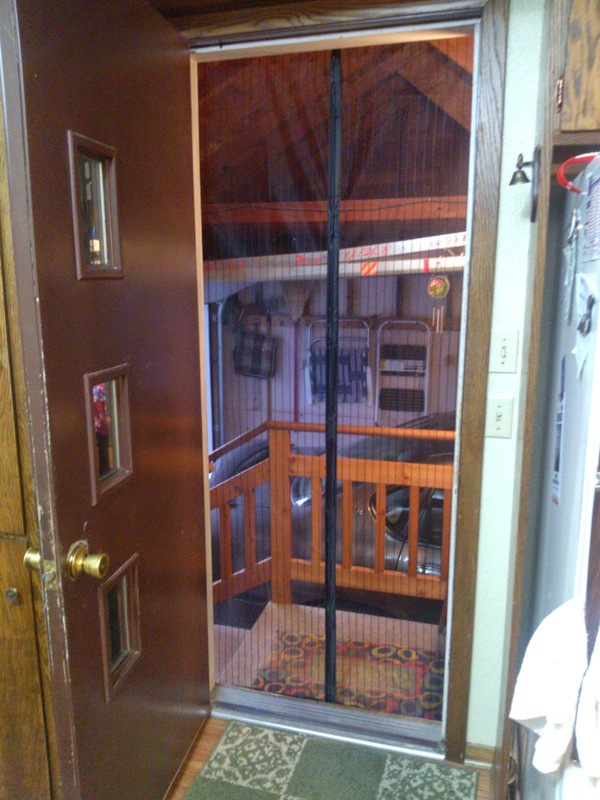 So when I discovered the magnetic screen door from iGotTech, I knew it would be perfect for grandma's house. My dad helped me install it (thank goodness, because he's way better at this stuff than I am.) It wasn't too hard - well aside from convincing my dad that we should follow the directions rather than doing it "his" way. The most important part was getting the velcro straight on the door frame. The adhesive was really strong so you wouldn't want to peel it off after sticking on. It felt nice and sturdy to hold up the screen. Basically all it takes to install is cutting the velcro to size, applying it to the top and sides of the door frame, hammering in the included tacks for reinforcement, and then sticking the screen up there. 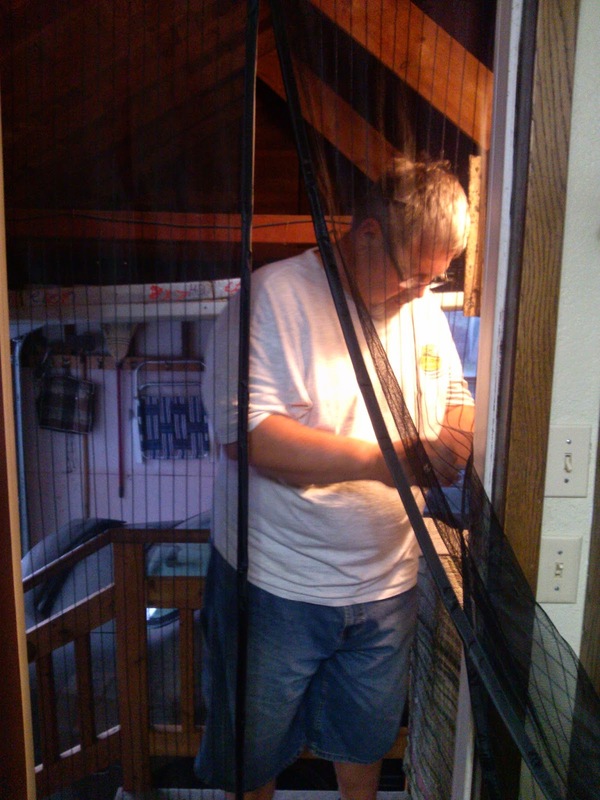 Once we (well, my dad) finished installation, we tested it out several times and it worked really well. You can walk right in without having to touch a door handle and it closes again behind you. This is the perfect addition to my grandma's kitchen entrance - Now she can leave the door open while still having a screen up to keep the bugs out. Plus all of us grandkids can go in and out easily when we visit! 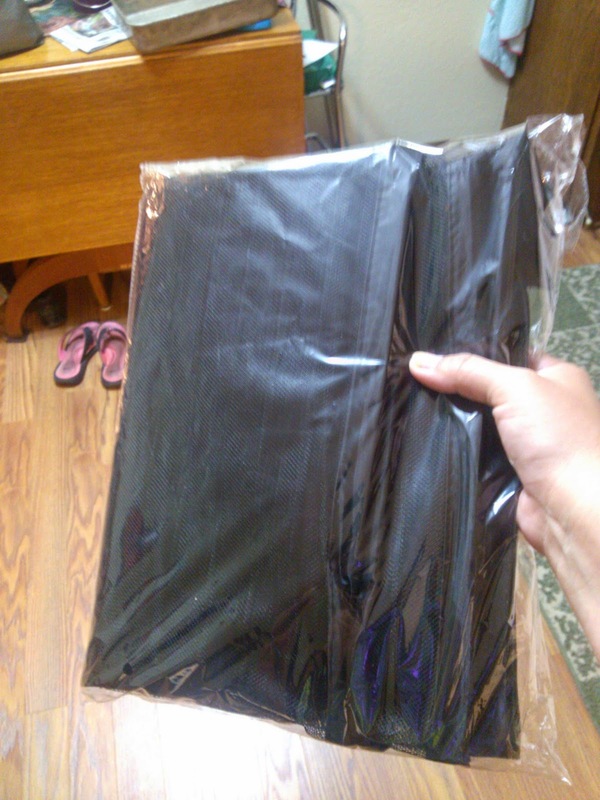 The screen can be taken down by pulling it off of the velcro frame, and can be folded up and put back in the original package to save for a more temperate season. (The velcro on the frame stays put.) We did this for my grandma because summers in Minnesota are way too hot and humid to keep windows or screen doors open, so we didn't want it to get in her way. But once it cools off in the Fall (hopefully in September) I'll be putting the screen back up. It will probably take me about 2 minutes to get it back up on the frame - easy peasy. 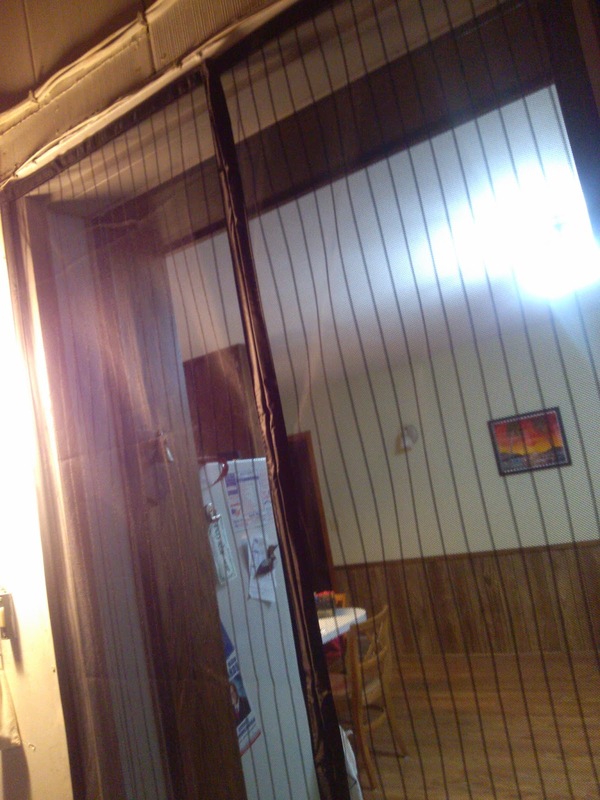 This screen door is made of high-quality material and is pretty simple to install. The only downfall I found was that in my grandma's case, she has a metal door in the kitchen so when you walk in through the magnetic screen door briskly, the one side of the screen gets magnetically stuck to the metal door. But I doubt this will be a big problem for my grandma since she doesn't go in and out very much, and the rest of us can just pull it off the door if that happens.